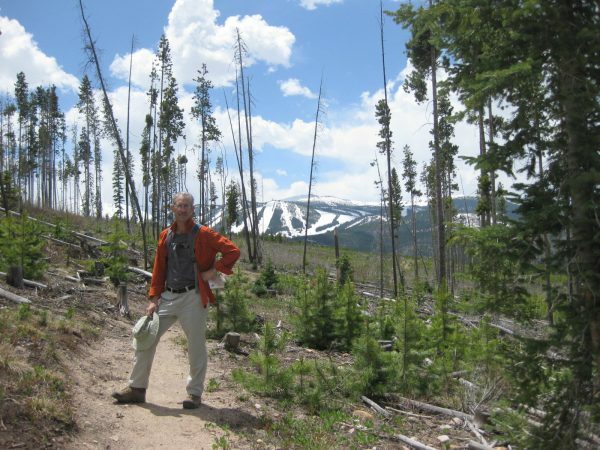 From our friend’s condo, we hiked from the Red Gate down to Hideaway Park in Winter park to ride the bus back home. Still snow on the ski runs as you can see. 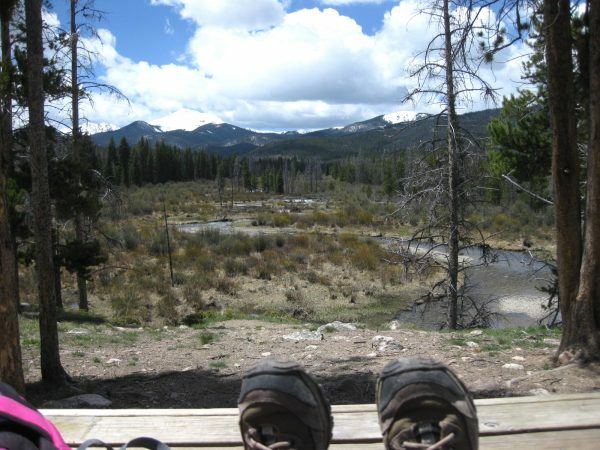 We hiked along a creek, stopping for lunch to enjoy this view. 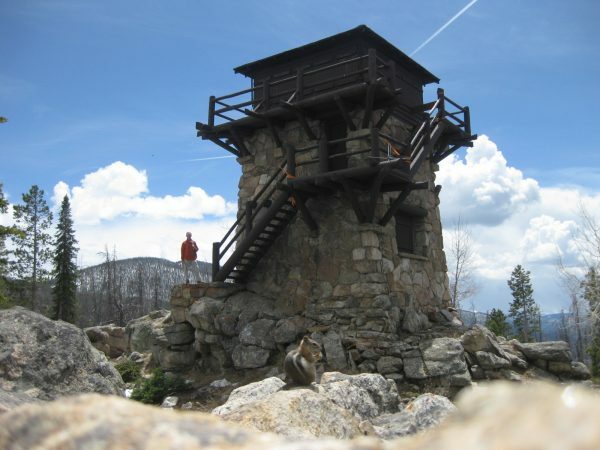 Shadow Mountain Lookout Tower in RMNP was a beautiful destination. Notice the chipmunk in the foreground. This is classic CCC architecture. 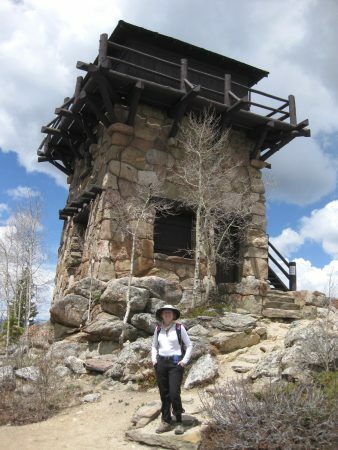 This entry was posted in Architecture, Colorado, Hiking, National Parks. Bookmark the permalink.